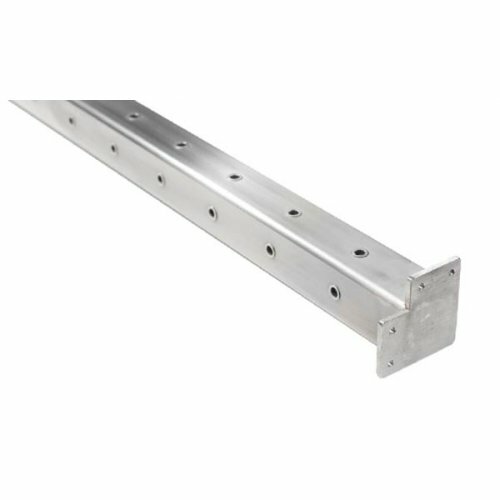 ProRail 2" (50mm) x 3.0mm Square Corner Posts suit flat timber handrails and are specifically designed to work simply with stainless steel wire balustrade. 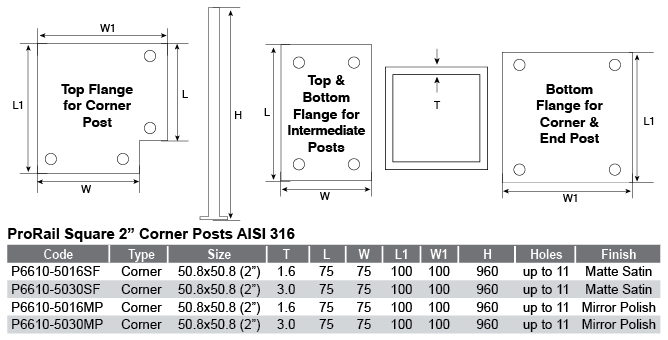 3.0mm walled posts are ideal for retaining strength when under load when used with wire balustrade. Both top and bottom fittings allow for very easy installation. Miami Stainless ProRail Posts perfectly compliment any stainless steel wire balustrade or handrail project and can be produced at any length with any amount of holes at any angle to suit your requirements. Please contact Miami Stainless with any further requirements. Check out our resource section to learn more about ProRail Posts, access material data and gain an insight to the Miami Stainless fabrication process. How much will freight cost me and when can I expect delivery? ProRail custom posts are usually dispatched within 3 full working days* after full payment is received. Miami Stainless has a maximum freight charge of $12 plus GST for Road Express via Star Track Express Australia wide. Please see the Delivery Table below for approximate delivery times. Please note: Due to the size and weight of stainless steel posts, we are unable to offer an Air Freight service. *While Miami Stainless endeavors to make sure all stainless steel post systems are dispatched within 3 full working days, during busy times such as leading into Christmas, we can experience a high work-load and delays. Please keep up-to-date with Miami Stainless news by signing up for our enewsletter here. What should I do if I have any further questions? If you have any further questions please contact Miami Stainless directly on 1800 022 122 or by email, info@miamistainless.com.au and one of our friendly staff will be happy to help.